Taking a moment to step back in time and take a look into history is fascinating. In traveling to the National Music Museum, I stood surrounded by the world’s oldest cello, the earliest piano and French grand piano, and many other gems. The mass of instruments was a bit overwhelming, but it was an intriguing experience to see how these have evolved throughout history. In the world we live in today the appreciation and desire to learn about history has declined. We have a tendency to focus on the newest things and use our devices as our only source of information. But what if we put them down to explore our surroundings? The National Music Museum is the perfect place to bring us back to fully experiencing places again and to truly be present in a space. It is filled with galleries upon galleries of historical musical instruments that have shaped the music we listen to today. 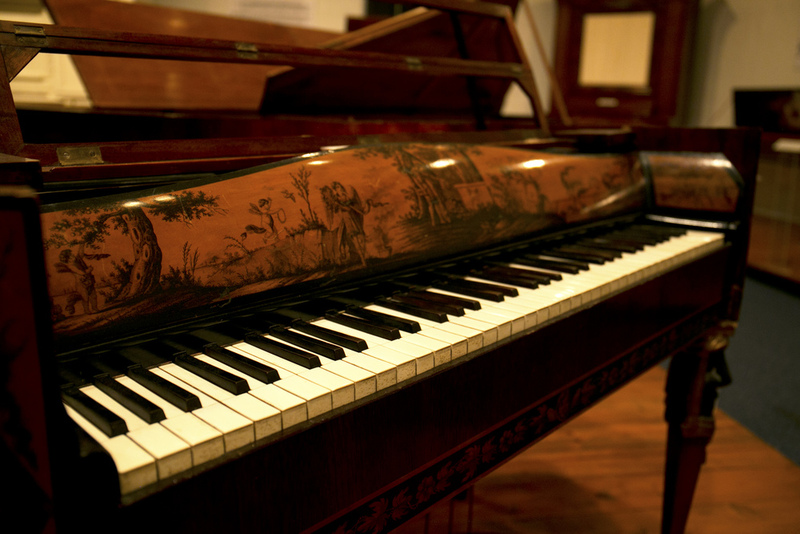 From organs, guitars, strings, and pianos, to a variety of other instruments, you can see where music began. If you find yourself in Vermillion or happen to be a lover of music, or not, the National Music Museum is a must see. Devote a few hours to walking around, listening to their smart device for a self-guided tour and going back in history. I know I will be visiting again soon to explore the remainder of the space.